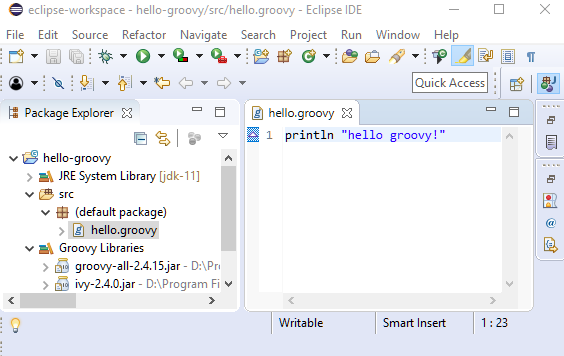 This tutorial shows how to use Groovy language in Eclipse IDE. 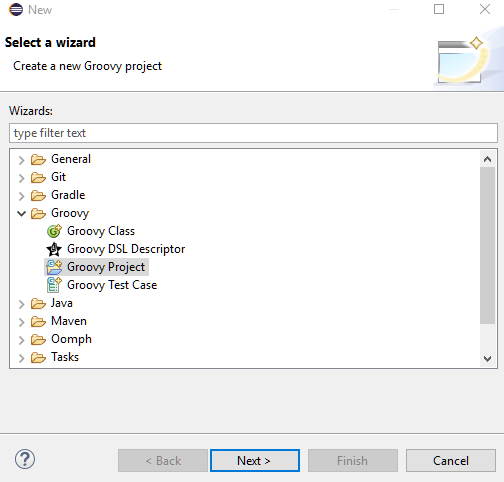 The latest update site link for 'Groovy plugin for Eclipse' can be found here. In my case it is http://dist.springsource.org/snapshot/GRECLIPSE/e4.10. 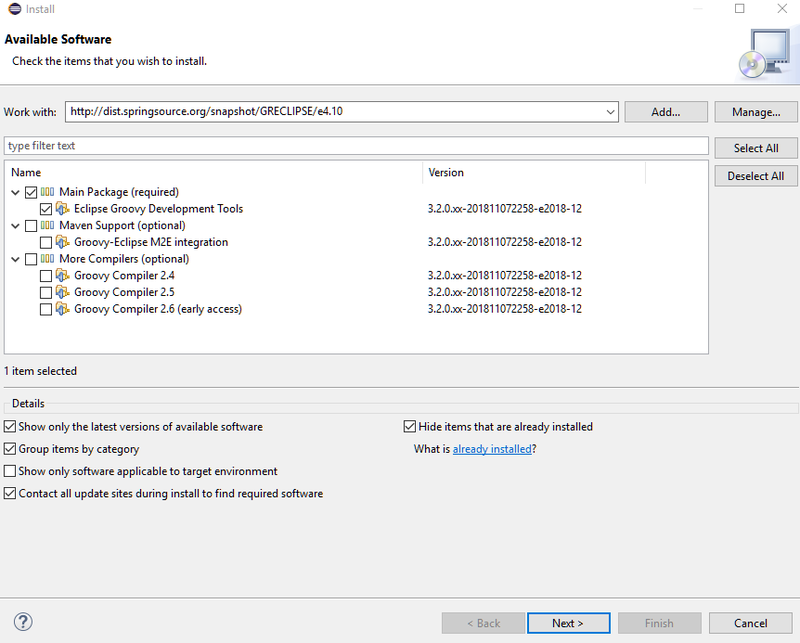 I am using Eclipse Version: 2018-09 (4.9.0) and JAVA_HOME is JDK 11. Enter the update site link and choose the 'Main Package"
You can choose other stuff if you want to. 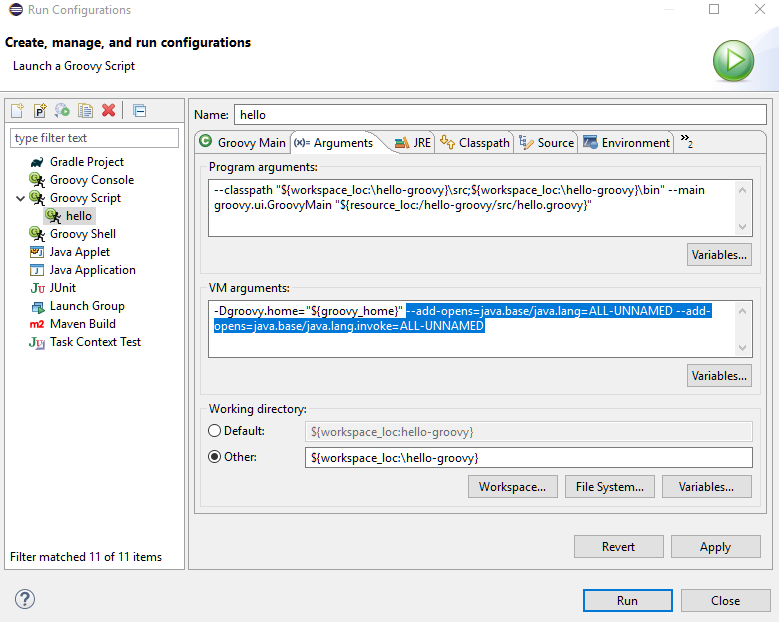 The Main Package comes with the latest Groovy compiler, so probably you won't need some other compiler from the last option. 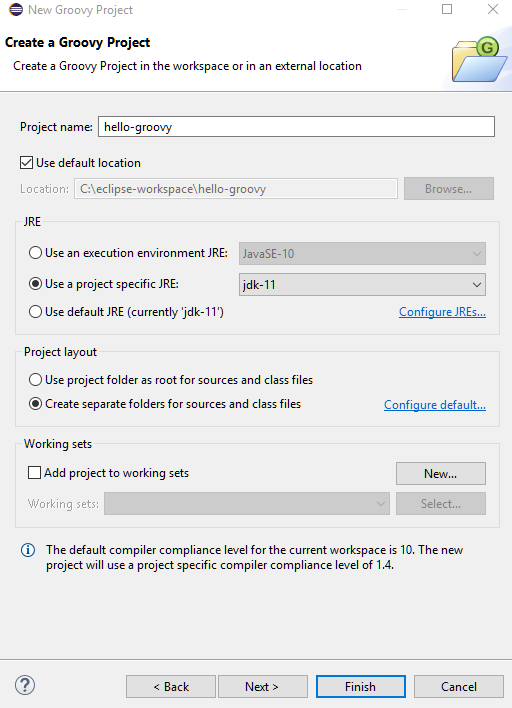 Select 'Groovy Project' and in the next step, enter 'Project name' (I entered 'hello-groovy'). On Clicking finish you might get "Create module-info.java" dialog. Just click 'Don't Create' as we are not going to create a Java 9 based modular application. 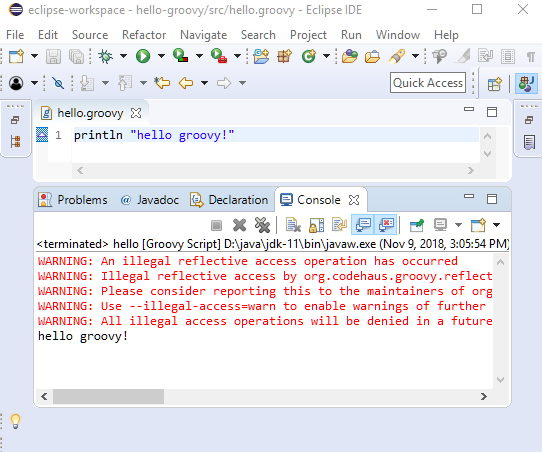 Note that the "groovy-all-2.4.15.jar" is also available (came with the groovy plugin). 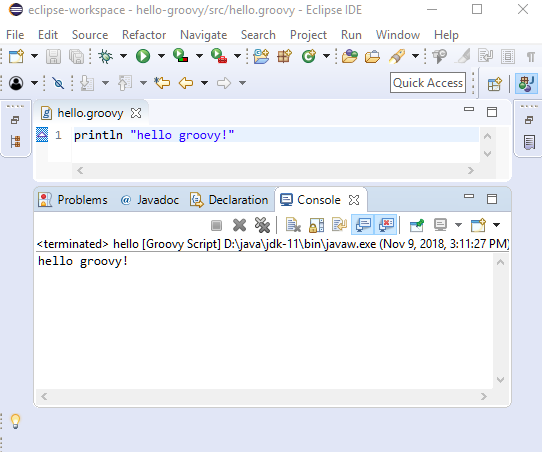 Now the script can be run by Run As > Groovy script (either via right click menu or tool bar). We can also use shortcut Alt+Shift+X release and then key press G.